A mountain lion who went roaming around a shopping mall parking lot in Sandy, Utah on Friday was shot with a tranquilizer gun to subdue it from attacking customers. The Salt Lake Tribune is reporting that the mall-crazy mountain lion has now died from the tranquilization. According to eyewitness reports, the mountain lion was roaming freely in the parking lot of the Jordan Commons Mall. 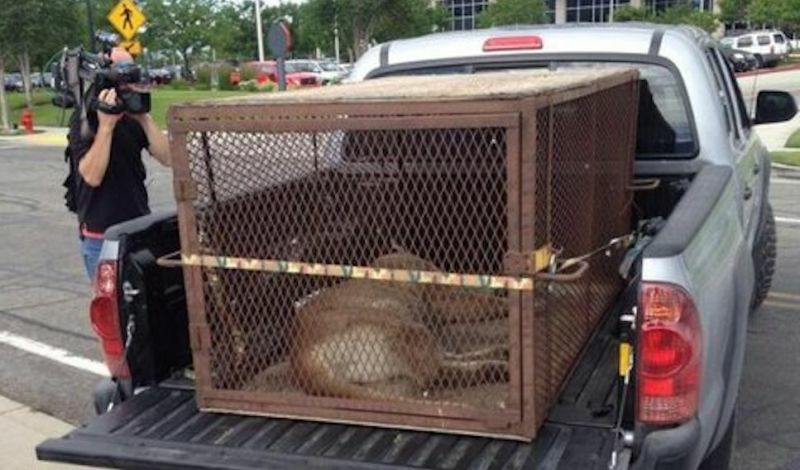 Witnesses initially thought the lion was a big dog. When the lion, with several bystanders nearby, suddenly jumped and ran, one officer fired a shot but missed hitting the beast. Sandy police Sgt. Dean Carriger pointed out that officers are trained to assess what or who their bullets could hit before firing their guns, and that "there was a concern of imminent danger to the public." The big cat, after being shot by the tranquilizer gun, was taken away and reportedly never roused from its deep sleep. Scott Root, an outreach manager for the Division of Wildlife Resources in Utah, said that death can occasionally occur from tranquilizing. 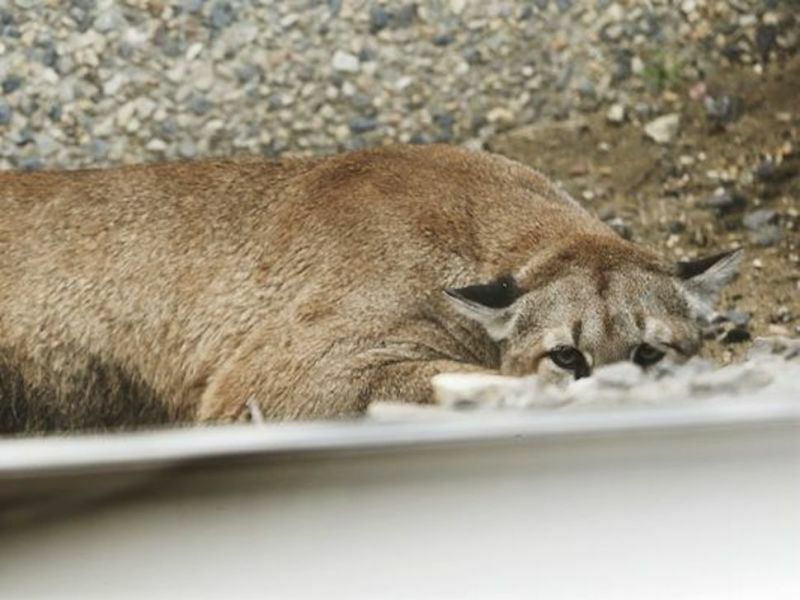 "The fact that this cougar was in a highly populated area suggests that something may not have been normal with this animal," he told the Tribune. The DWR had planned on releasing the female lion back into the wild.